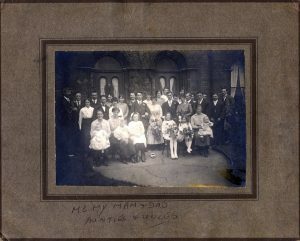 I recently acquired a set of photographs which all seem to be of a Leeds based family. 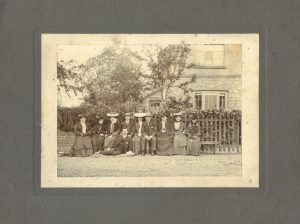 Many of them note the identity of the subjects on the reverse of the photograph. The person who owned the photographs and made the notes was a woman. We never see her own name but let’s call her Dana. 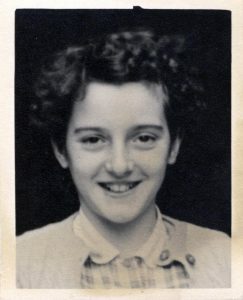 On some of the photographs featuring groups of people she has marked the identity of certain group members with an “X.” It seems an odd thing to do because it spoils the photographs but it makes it easier to at least identify the relationships in this family. 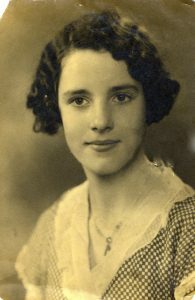 Betty appears three times, once with Marjorie at Batley. 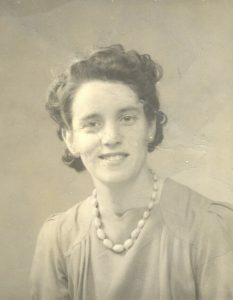 Betty’s surname is given as “Raynor” on one of the photos. Is she Dana’s sister? Marjorie appears three times, once with Betty. 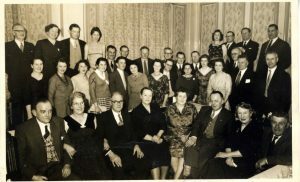 Note there’s an “X” again to identify Marjorie in the group photo. The family dogs are not forgotten – here we see Dinkie, Rinty and Blackie. 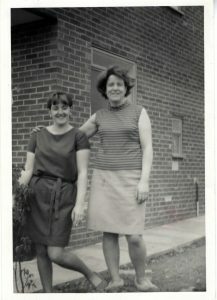 Here are Cousin Dorothy and Auntie Florence. I was hoping one of these gentlemen would turn out to be Dana’s father but she’s written on the back “John’s Father with his workmates from Yorkshire Copper Works.” There’s no clue as to who John is so it doesn’t help. Nevertheless the newspaper clipping provides fascinating detail. 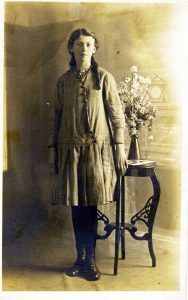 Overall the collection illustrates some of the frustrations of collecting old photographs. Clearly there are intriguing stories behind them but nothing to definitively identify the subjects. From the notes and photography studio stamps we can place them in and around Leeds. Otherwise we can only be grateful for Dana’s “X”s to at least show some of the relationships. 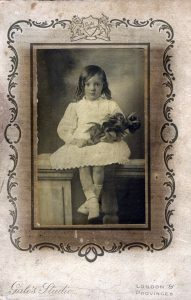 You are looking at a photograph from my collection. 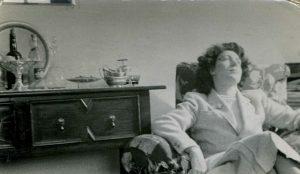 I have no way of identifying who this is or when it was taken though I can make a guess based on the furniture and the woman’s clothes. The only clues are printed on the back: “voiglander” i.e. the camera and “Photo-Wolf, Hiddesden.” Was the photograph posed? Is it a candid shot? Is the woman suffering from ennui or is she in fact dead? (Unlikely I know but we have to consider all possibilities). The photograph is a good representation of the tone that this new blog is going to adopt. It’s mysterious and it can easily be imagined to be a still from a film noir. There are slightly sinister undertones and we might also come to think of the subject as a femme fatale type. There are plenty more where this one came from. 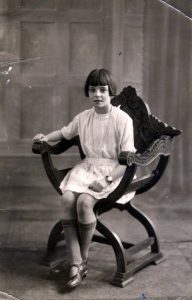 To write about my collection of old photographs and their significance. To write about writing. More specifically to write about the my previously published work, my soon to be published work and work in progress. 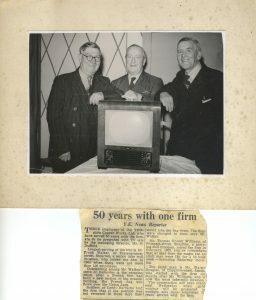 How are these two things linked? If I had to pick one word to describe both the photographs and the writing I’d choose noir.